Hi all, as valentine’s Day is near and every couple is planning to have a wonderful date on this occasion. So this time i am going to help the couples of Lucknow.Lucknow the city of Nawabs is famous for delicious food and beautiful Historical Places.You can feel mughlai touch in their tone, Food and lifestyle. So treat your Girlfriend/Boyfriend royal in your city by visiting these beautiful Romantic Places places in Lucknow.Lucknow has beautiful Lush Green Gardens and tasty food points in lucknow to enjoy with your lover.So here i am going to list down all the safe dating places of Lucknow as Romantic place is ok but safe place is must as in these days hidden cameras and disturbing people are the main problem for couples specially unmarried couples. I hope this article will help you to visiting dating places in Lucknow. But yes do not forget to share your own experiences with these places. If you have any questions related to Dating Places in Lucknow than do share in our comment box we would love to answer it. 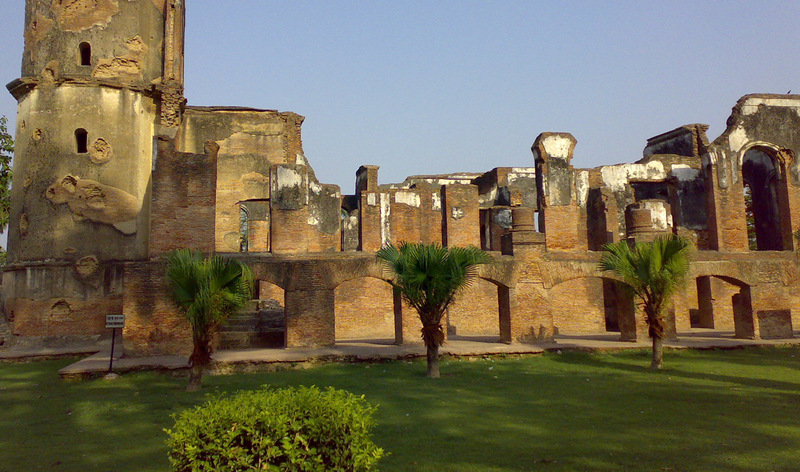 Begum Hazrat Mahal Park, Lucknow is located at Hazratganj Lucknow. It has various beautiful eye catching trees, flowers and other beautiful views of Lush green garden. It is one of the most favorite Garden for Couples or you can it will the best best in lucknow to hug and kiss your gf/bf. But maintain decency. Residency is a romantic place as it has many private corners to spend private moment with your lover. It is the most visited place in lucknow and one of the favorite for all the love birds of lucknow. Visit Residency in lucknow and plan a romantic date with your partner. Kukrail Picnic Spot is listed among a best picnic place for not only the couple but families also. So be careful and decent while making love here. Although Kukrail picnic Spot is a very romantic and secret place for gf/bf in lucknow. If you wants to enjoy a date with yumm foods. Than Hazratganj Lucknow will be the best option for you. Visit Hazratganj and enjoy delicious mughlai food as well as Chinese, Italian food at its restaurant and local shops with your love. 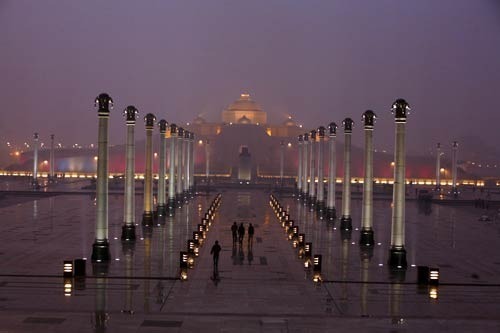 Ambedkar Park is a new place to make love within the premises. It has beautiful Gomti River view and architecture will make you to fall in love again and again. It will be more romantic if you visit these place in evening as it looks more beautiful after lighting. See Begum Hazrat Mahal Park is a nice option for couples in Lucknow, it is safe but keep decency as it is public place. Enjoy your first Date. Got a question is it correct if a married mature guy wants to date young girl ??? Yes, Sometimes,but if not playing with that young girl’s Emotions. Actually Me & My Gf Both Are Below 18. So Can u Tell Me Which Is The SAFEST Place To Visit. See varun, As lucknow is not like Delhi or Mumbai,there is no any place specially for couples so maintain decency where ever you visit with your girl. One more thing vahan jana prefer karo jahan entry charges lagte hai qki vahan couples ko irritate karne wale log kam hote hai. All the best Happy Dating. I want to go lucknow with my girlfriend in deen dayal park….is it a safe place??? ?will the police not disturb in the garden and such other items??? See sandeep police disturb only those people who behave unethical..So maintain decency and enjoy your private time. Any restaurant with cabin facility??? I’am working in Delhi an ocassionaly I get chance to se my girlfriend we have tried plenty of places but each time we could hardly spend 5 or 10 minutes and we leave, and the only options I’ve got is Lounge and believe me I’ve been to almost all of them and now she says I can’t decide, and place issue is ruining my life, help me with a place I can take her. Aap niche diye hue link par click karo yahan puri details hai lucknow ke water park se related. i want to meet with my bf.. nt able to decide we dont want to go to malls and its too hot…. where we should go.. to spnd tym…. Lohia Park is d best option for u.
yaar meri koi girl friend nhi banti h pta nhi kyo yaar . I am engaged nd my fynsi decided that we spend some days with each other but privetly in lucknow. So dear sneha can you help me for decide some private place where no any disturbance. And please suggest safe hotels for stay some day…. Hi Sahil, I can not tell you as i have not visited Lohiya Park Lately. ya koi or couple park lucknow jo safe ho??? anyone know please tell me??? Yes Ajay it will be safe. But always choose good hotel with good customer reviews and ratings. As I heard that couple romance freely and openly in lohiya , can we go with my girl friend. As somebody told me that all the couple spooch and kisses their girl in that park. Some of my friend seen that people kiss and all …. See as Lohiya park is famous as one of best place in lucknow to hangout with one’s love,but keep decency as it is a public place. Hope you understand the nuance of my reply. Have a happy date with your girl. Good evng Guy’s. ..mujhe apni gf ko date k liye lucknow me le jana hi.. .pr koi place decide ni ho pa raha hi.. .pls koi btaie dubagge k side koi place ho.. .ya phir Gomti nager me ho. ..